The Toyota Camry and Toyota Camry Hybrid have been granted a host of interior and technology upgrades for the 2013 model year. Launched in its current format in the 2012 model year, Camry LE models gain a new soft-touch material on the front door panels, replacing a harder plastic. Interior arm rests now color match the rest of the interior, and models with leather seating get new stitching accents. Camry Hybrid LE models also get a standard 6.1-inch Display Audio screen. On the hybrid, this also shows the car's energy monitor and fuel consumption data. A Blind Spot Monitor system is standard across all new Camrys, alerting drivers when a vehicle crosses their mirror blind spot, to prevent merging accidents. 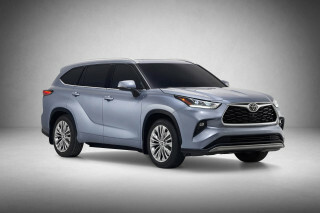 Bluetooth connectivity is also standard, while Display Audio-equipped models also get satellite radio and HD radio as part of Toyota's Entune multimedia system. 10 airbags, multiple safety systems and a 36-month/36,000 mile basic warranty are all standard, while all hybrid components are covered for 8 years/100,000 miles. 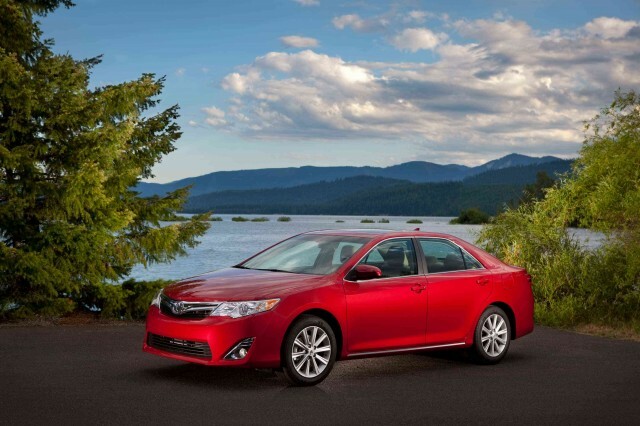 The 2013 Camry Hybrid continues with the previous year's mechanicals, though that's not such a bad thing. Under the hood you'll find a 2.5-liter, four-cylinder Atkinson-cycle gasoline engine, refined for maximum efficiency, low emissions and greater refinement. Paired with an electric motor, combined output is 200 horsepower. That's enough to reach 60 mph in 7.6 seconds from rest, putting performance between regular four-cylinder Camrys and the more powerful 6-cylinder model. Like all Toyota hybrids, the Camry can vary its power between the electric motor and gasoline engine through an "electronic CVT" planetary gearset. Electric range is around 1.6 miles, below 25 mph. 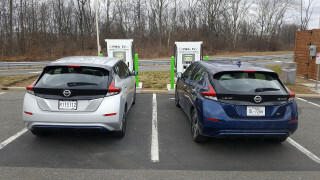 EPA gas mileage is rated at 43 mpg city, 39 highway, and 41 mpg combined. 2013 Camry Hybrid pricing starts at $26,140, plus a mandatory $795 delivery fee.